Another day, another Justice League rumor. The movie will be hitting theaters in just a few short months and they are still doing some additional filming. Joss Whedon has been hard at work doing reshoots and editing the movie together ever since Zack Snyder had to leave the project over a personal tragedy. More and more it has become clear that these reshoots are pretty significant and there may be a very good reason for that. 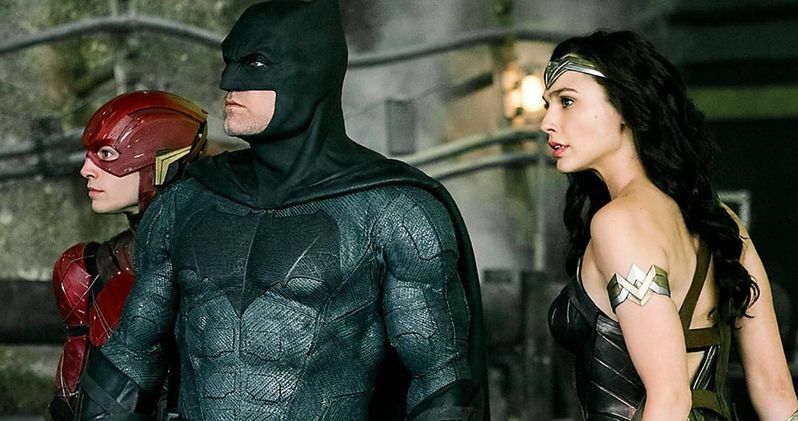 It turns out an early cut of Justice League may have been "unwatchable." Before we dig in it should be noted that this should only be regarded as a rumor for now and nothing more. That said, fan site Batman On Film recently ran a piece after Joe Morton, who plays Cyborg's dad in Justice League, made some comments saying that Cyborg had been changed quite a bit during the reshoots. In the piece, they also reiterated that these are most definitely not standard reshoots and claim that Warner Bros. saw an early cut of the movie that caused quite a bit of concern, which made these reshoots necessary. Here's what they had to say about it. "These reshoots, which are still taking place, are not standard pick-ups/additional photography. Why? Apparently, an early cut of the film was deemed 'unwatchable.' Thus, substantial changes to the film were ordered." We have no idea where this information is really coming from, but given that the reshoots that have been taking place appear to be so significant, there would have to be a reason for it. No studio would spend millions of dollars on reshoots just months before a movie is scheduled to be released if everything was fine. That said, this has happened in the past and things worked out pretty well. Rogue One: A Star Wars Story underwent significant reshoots and there was a lot of concern ahead of the release. The movie wound up being a huge hit critically and financially. World War Z also famously had to do a crazy amount of reshoots and completely rework the ending and that movie also turned out pretty good, all things considered. There was another report floating around recently that stated the ending of Justice League had been changed by Joss Whedon during the reshoots. Apparently, the original ending left things on a cliffhanger that brought Darkseid into the fold. According to the recent report, the movie is no longer going to end on a cliffhanger. They decided to just wrap things up. Even if this report is 100 percent true, there may not be any need to worry. There were similar reports floating around in regards to Wonder Woman ahead of the release and that movie turned out to be a massive hit and Warner Bros. is even going to make a serious Oscar push for it. Not to mention that Joss Whedon has a pretty great track record and Warner Bros. is clearly dedicating the resources at their disposal to make this movie as good as possible. True or not, it won't matter as long as Justice League is a good movie when it arrives in theaters on November 17. And hopefully when it does arrive, we'll finally see the return of Superman.